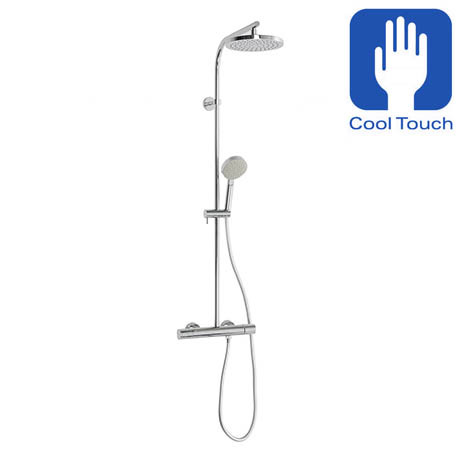 The all-in-one complete showering experience, the Crosswater Curve Cool-Touch Multifunction Thermostatic Shower Valve is designed to reduce the risk of burning. With rapid reaction time to water pressure fluctuation and limited heat transfer due to a unique design. The valve offers a host of fabulously advanced design features and incorporate a versatile handset, overhead shower and valve in one single product. With magnificent styling, an unbeatable directional showering performance, thermostatic control and excellent eco benefits, Crosswater's superior range is not only smart and modish but also incredibly easy to use.